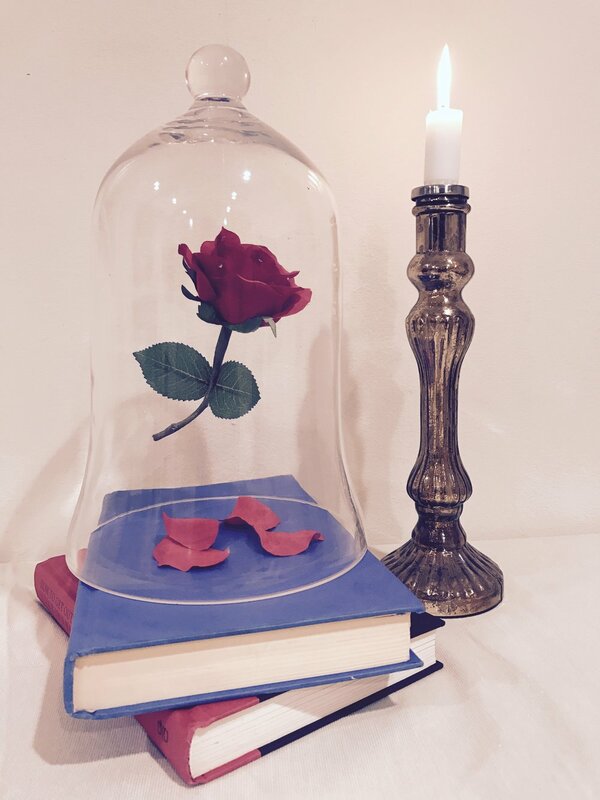 We’re so excited about the release of the Beauty and the Beast movie remake that we decided to DIY a replica of the infamous enchanted rose. The DIY enchanted rose can be used as a centerpiece for birthday parties, wedding showers, or even as decoration for your home. It’s relatively inexpensive—$45 total to create ($30 with Michaels 40% coupon!) and took about 45 minutes to complete. We lucked out and found all the materials we needed at Michaels Arts & Crafts. Check out the full tutorial below. If there are any questions, feel free to shoot us a note at hello@theparkwayevents.com. Click the pictures below for the full list of instructions for each step (hover over the image once clicked if instructions don't show immediately).